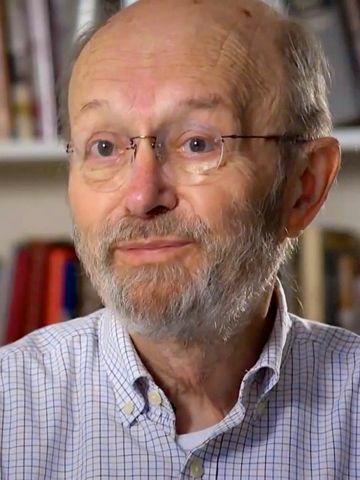 GLEN STASSEN, an influential Christian ethicist and director of Fuller Seminary’s Just Peacemaking Initiative, died on April 26, 2014, in Pasadena, California, after battling cancer. He was 78. Glen was my #1 roommate for many of my travels. We joked about the upgrades we would get when we returned to our wives. We first roomed together across the Soviet Union in the historic days of Glasnost and Perestroika in 1988. Our final time together was last July at meetings for the Baptist World Alliance where Glen was to receive the Denton and Janice Lotz Human Rights Award. Between those years we shared many travels, long ethical discussions, book swaps, and late-night debriefs. I was never blessed to be his student, but he shaped my thinking immensely through his books and our one-on-one discussions. More than his ideas, though, was the integrity with which he put his ideas into practice as a simple expression of living out his faith. Stassen came at his work in ethics from fascinating personal and family roots. His father was Harold Stassen, perhaps best-known for frequent futile attempts to run for President of the United States. But Harold Stassen had an impressive political resume, serving as Governor of Minnesota, and later President of the University of Pennsylvania. He participated in the San Francisco Conference in which the United Nations Charter was drafted and was an original signatory to that historic document. Then the elder Stassen served in the Eisenhower Administration including as Special Assistant to the President for Disarmament. Glen began his academic career in the field of nuclear physics. “Just peacemaking” is the phrase that will likely fuel discussions the longest as Stassen’s legacy in religious ethics. So much of Christian thought related to war and peace has revolved around the debate between pacifism and “just war” theory. The key questions were: Should Christians participate in war? If so, under what conditions? Though the church through the first three centuries was almost universally pacifist, St. Augustine (4th Century C.E.) and then St. Thomas Aquinas (13th Century) held that Christians could legitimately participate in war under certain conditions. Those conditions became the core for legitimating a “just war”: a just cause, a legitimate authority, just intent, proportionate use of force, the last resort, and probability of success. For Stassen this wasn’t just intellectual pondering, but were practices that could face the tough pragmatic rigor of application in real conflict. Stassen was no ivory-towered academic. He was a peace activist who worked with the nuclear freeze movement during the Cold War. He represented the Freeze Campaign in Europe during the height of the Reagan years, participating in back-door negotiations with German military leaders that nailed down the “zero option” that led to the agreement about medium-range nuclear missiles. In fact, for all the practices Stassen documented the specific actions people, governments, and organizations were taking that had prevented wars, halted wars, or limited the damage of wars. “Just Peacemaking” wasn’t just Stassen’s work. He opened up the discussion to others, drawing in a wide circle of first Christian ethicists and also Jewish and Muslim scholars and activists. Though Stassen’s peacemaking grew out of his own understanding of what it means to follow Jesus, he respected and delighted in the interaction and participation of other parts of the human community who sought justice and peace. Peace would be a shared accomplishment. Jesus’ Sermon on the Mount was the ethical center point for Stassen. He coined the phrase “transforming initiatives” to summarize the kind of action Jesus called for. In the context of Roman occupied Judea and Galilee, all the power to act seems in the hands of the Empire. But Jesus said even those who seem powerless can determine their own action and take the initiative, though in positive ways that transform the situations and relationships. Nonviolent direct action is a way of transforming initiatives, though Jesus addressed many other areas of human interacting as well. In all these areas we can be empowered to participate with God in breakthroughs of grace, justice and peace. Glen Stassen “introduced me to peace activism and a job serving on the staff of a Louisville peace organization in 1986 while I was in seminary. He recommended Union Seminary to me, and his recommendation helped me get into the PhD program there in 1987. He helped me get my first academic job at Southern Seminary in 1993. He wrote with me a career-making book, Kingdom Ethics, released in 2003. He labored next to me on every significant activist venture I have ever undertaken, including the work against torture for Evangelicals for Human Rights from 2006. At every decision point in my journey, he was a guide and mentor for me. Care to see Glen Stassen? THIS 2-MINUTE VIDEO by Glen Stassen shows how he contrasts Just Peacemaking with an example of Just War theory. If a video screen does not appear in your version of this story, try clicking on the headline to reload the page. You also can jump to YouTube to see this video. This profile was written by Daniel Buttry. This website was inspired by three books written by Dan. Check out his book series on peacemakers, crossing boundaries of religion, ethnicity, and culture. Also, David P. Gushee wrote the Foreword to our newest book, A Letter to My Congregation.